I picked this up from my favorite pawn shop in Albuquerque a couple of weeks ago for $400. After insuring and shipping it to me I have $520 invested in it. I've had my eye on it for several months and since the opportunity presented itself by traveling there on business I decided to grab it. They still have a very old flint lock and a "underhammer" that I'm interested in, but that is another day. There should be an eagle and the initials US in front of the hammer, but this looks like it was ground off. I was told by someone that this was done with a lot of the weapons that were used by the Confederate States of America which were manufactured in the "North" in the "War of Northern Aggression"
Clearly visible on the top of the barrel is the date "1836", a "US" stamp, the initials "J. M." and the letter "P". I've found no documents that will explain what these represent. The US Model 1816 Musket was a .69 caliber musket used in the United States during the early 19th Century. 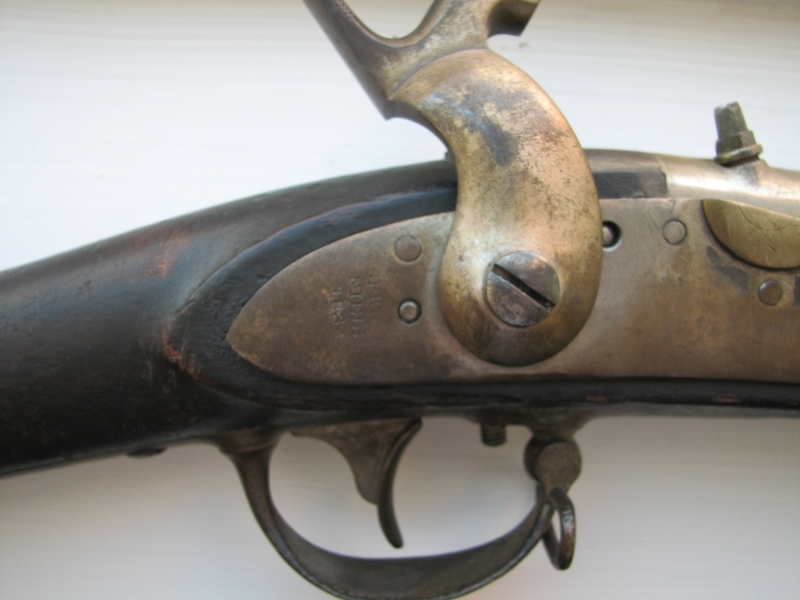 The Model 1816 musket was originally produced at the Harper's Ferry and Springfield Arsenals between 1816 and 1844, based on the older French design of the Charleville model 1777 musket. Around 675,000 were made in all. The Model 1816 was at first a flintlock musket, then 300,000 Model 1816 and Model 1822 muskets were converted to percussion cap in 1841. The barrel was 42 inches long, with an overall length of 58¼ inches. 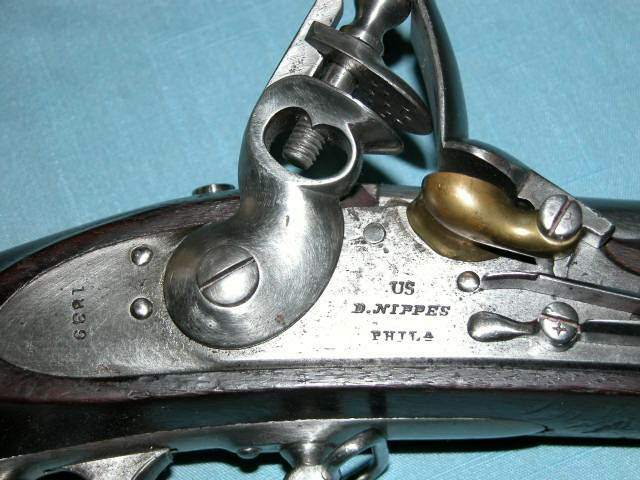 A bayonet lug accepted the 19-inch Model 1812 bayonet. With bayonet, the overall length of the weapon was extended to 77½ inches. The Model 1816 was used by Texians during the Texas Revolution and by the US Army and militia during the Mexican–American War. It was also used during the early years of the American Civil War until around 1862. Example of a Model 1816 Flint Lock before conversion to percussion.